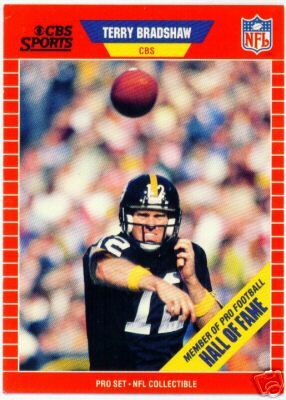 1989 Pro Set Announcers card of legendary Pittsburgh Steelers quarterback Terry Bradshaw. NrMt-Mt or better. ONLY TWO AVAILABLE FOR SALE.